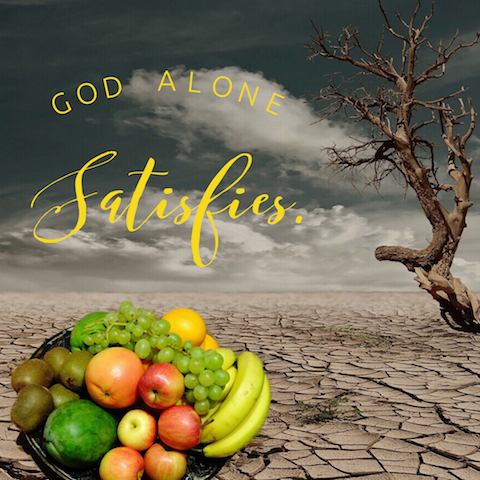 Day 1 - What Satisfies You? What satisfies you? Especially when you are in the midst of hardship, where do you go for satisfaction? Can you turn your physical thirst into thirst for God? David was in the desert, and most certainly thirsty. You could imagine that the typical response to physical discomfort would be complaint. How do you handle less than ideal circumstances? David turned his physical longing for comfort into a longing for God's comfort. In fact, God's comfort is what you really need. You can waste so much time, effort and money pursuing false comforts… trying to fill the void with empty pleasures. Another chocolate bar, another relationship, another movie, and it never ends. How do you find your satisfaction in God. Begin remembering how good he has been to you. Recall to mind how he has lavished love on you. This is what David did. He chose to praise God in the desert, and his thirst was quenched. Your declaration in worship is the key that activates satisfaction in God. When you invest money, many say it is wise to "diversify your portfolio" - meaning, to spread your money out over many funds and various companies. This will minimize your risk, while keeping a healthy bottom line. The sinful woman spoken about in Luke 7 took a risky approach. She spent everything on one desire… to pour out her love on Jesus. She walked right into the lion's den - the place where she was sure to be slammed with judgement by the religious leaders. This did not phase her. She walked right up to Jesus and began pouring out her love to him. The sinful woman's desire for God was shown by her courage and lavish display of love. 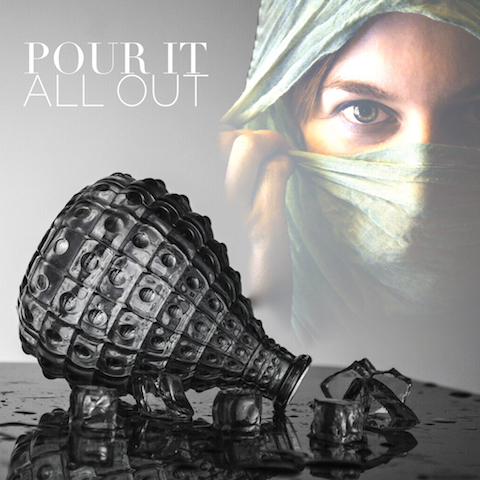 She poured it all out… her reputation, her tears, her hair and perfume. She held nothing back. Notice that Jesus did not explain his relationship with this woman. "Why did she seem to have such a special relationship with Jesus?" the Pharisees must have thought. But, Jesus loved the woman, her desire and her worship. You see, Jesus is the only One worth such great desire. He is worthy of our focused desire and lavish display of love. Do you spend some of your desire on Jesus and spread the rest around? Do you take a "safe" approach and hold back from Jesus, just in case there are better options available? He is worthy of your single and full investment. Spend your desires (your energy, reputation, money and time) on Him. 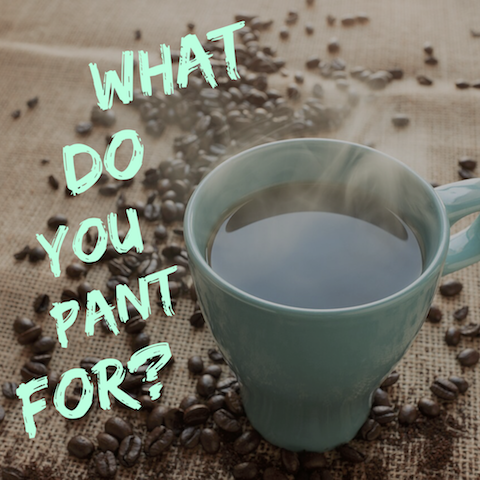 What do you pant for? What do you crave or long for? That warm cup of coffee or tea first thing in the morning? An undisturbed sleep-in on the weekend? Why do we have great desire for seemingly meaningless things? We practice desire. We practice feeding our desires. You can learn to pant after God as the deer pants after the waters. Practice vocalizing your need for God - especially when you don't feel you need him. Use the words of this Psalm to help you. Tell God, "I am putting my hope in you right now. I will praise you." Then start thanking him for moments of his faithfulness through your day. The reason we fill our needs with temporal fixes is because we have done it so often. Start the practice of getting filled with God - the only One who really satisfies. When we get hungry for God, we develop a deep desire for others to encounter him. God never meant for us to stay isolated in our pursuit of him. He wants us to find the lame, the broken and hurting and bring them to Jesus. The four friends who brought their paralyzed friend to Jesus would not be put off by obvious obstacles. Many people would give up when presented with huge crowds and big delays. But, these friends were hungry to meet Jesus. Actually, they were hungry for their friend to meet Jesus even more. So, they cut a hole in a roof and lowered their paralyzed friend down. Jesus saw the faith of the friends and healed the man. Would you get hungry for God on behalf of your friends who are in need? What would you do to create a pathway for your friend to meet Jesus? What lengths would you go to in making the connection? Jesus will respond to your faith on behalf of those who haven't met him yet. So, pray and act in faith. Get hungry for your friend to meet Jesus. Your hunger can make the difference! Can you remember the last time you experienced God's presence, his comfort or provision? Are you still living off that last encounter with him? Aren't you hungry for more? Moses was considered God's friend. He experienced the power and presence of God in the burning bush, the ten plagues, the Red Sea parting, and on Mt. Sinai. But, Moses had the audacity to ask for more. He was not content to rest on the revelations of yesterday. He wanted to know God in a more intimate way. And God answered Moses' simple request, "Show me your glory." God showed himself to Moses in a new and intimate way. This happened because Moses asked. This happened because Moses was hungry for more of God. Do you act as if you already know all there is to know about God? Stir up your hunger for God by boldly asking him to show you more… to show you his glory. 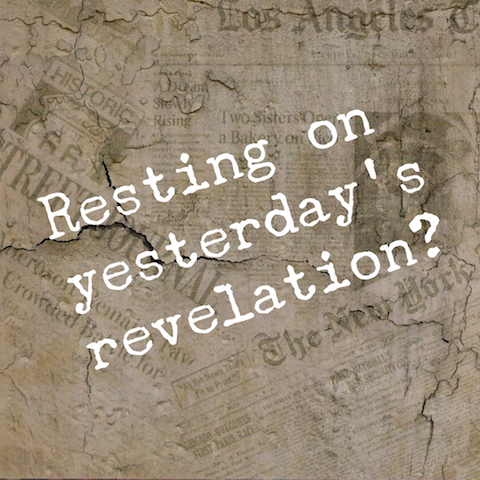 Don't rest any longer on yesterday's revelation. God wants you to know him in a fresh way today. Elisha spent a most unusual day following his mentor, Elijah. For Elisha was told to stay back three time times. But, Elisha would not be put off. He followed Elijah to three different locations in one day - Bethel, Jericho and the Jordan. There was something Elisha wanted. Finally, at the last stop, before Elijah would be taken away, he asked Elisha what he wanted. 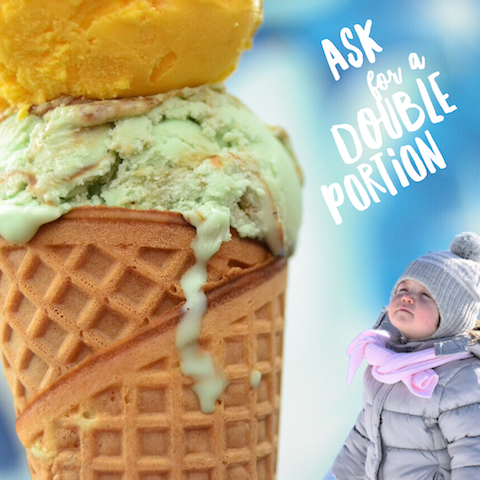 Elisha asked Elijah for a "double portion" of his spirit. What a bold request! This is what Elisha had been hounding Elijah for all day. Elijah said the double portion would be granted if Elisha saw him taken up to heaven. What happened next was astounding. Elijah was suddenly caught up by a chariot and horses of fire in a whirlwind. And Elisha saw it all happen! That meant he would get the double portion of Elijah's spirit. Sure enough - Elisha walked away with an incredibly strong anointing of the power of God. This was displayed through all the miracles performed during Elisha's lifetime. Elisha would not have received the double portion of the spirit if he had not asked. What would you be willing to ask God for? The power actually came through Elisha seeing what God was doing. Ask God to open your eyes to see his miracles around you. As you see what God is doing, you will have power to work with him in his miracles. Ask for a double portion of the Spirit's power today. Watch carefully for his display of power. Then, join him in his miracle. Do you get easily frustrated with long lines, phone calls on hold, slow-cooking meals? With our technological advances, we have found ways to shorten our wait times (shop online), our phone calls (inquiries online) and our meal preparation (microwaves). We're not used to waiting. And when our desired outcome does not happen quickly, we get impatient and move on. Simeon waited his whole life for one thing - to see Jesus the Messiah. If you were in a line waiting for a ride at the amusement park, you would base how long you wait on the worthiness of the ride. You wouldn't wait for two hours if a ride was only average. Is Jesus worth the wait? Is he worth waiting on to hear his voice, to know his preferences and to watch him unfold his plan? Simeon definitely thought so. His deep desire to see Jesus led him to a place of determined waiting. When we don't get a quick answer from Jesus, we are prone to move on… try something or someone else. But, real desire for Jesus - recognizing his worthiness - will hold us in the position of expectant waiting. You can trust that Jesus is working his best for you (Rom. 8:28) in the midst of your waiting. So, don't jump the queue or hang up the phone. 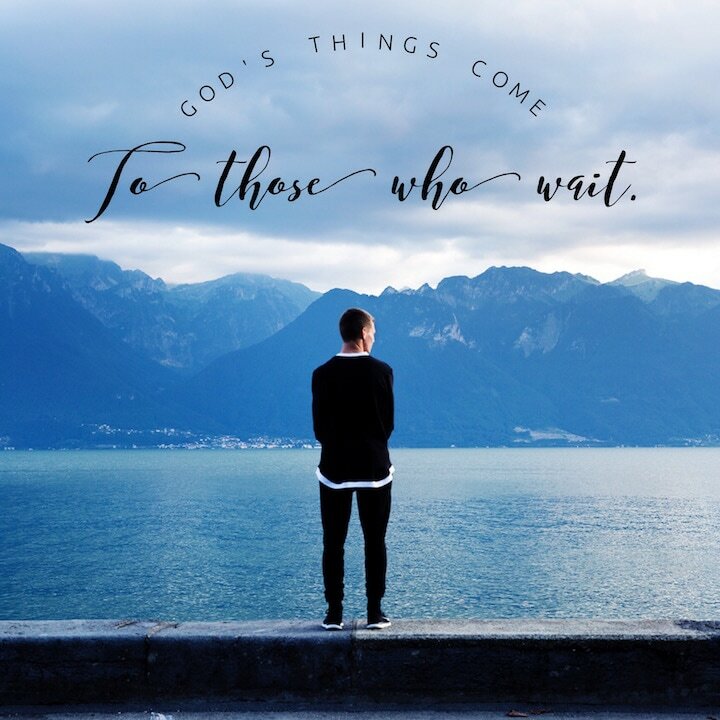 God's things come to those who wait. Why is it that sometimes we really sense our need for God, and at other times, we do not? Typically when life is balanced and happy, our felt need for God seems to be less. But is it? The rich ruler approached Jesus with a seeming polite greeting. The rich ruler called Jesus "good teacher." Immediately, Jesus challenged the ruler's greeting. Was the ruler really calling Jesus God, because there is no one good except God alone. Of course, we realize that the ruler only called Jesus "good" as a polite title - not at all meaning that Jesus was actually God. How do we know this? Jesus invited the ruler to obey him by giving up all his possessions and following him. If the ruler really thought Jesus was God, he would have gladly obeyed Jesus. But, the ruler walked away. The ruler didn't need Jesus, because he didn't see him as God. The ruler thought of himself as good, just as Jesus is good. In other words, the ruler put himself in the position of God. Therefore, he had no need for Jesus, who really is God. 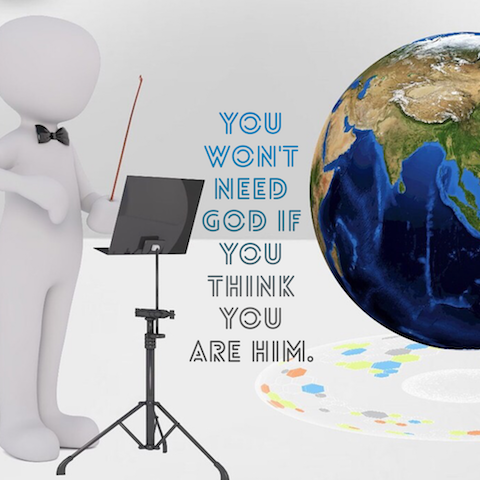 We have no felt need for the true God when we think we are God. We would never say this, but we act it out when we depend on self for everything. The rich ruler looked at God in the face and walked away unchanged. Pride blinded him. We can think we have everything in place. But, in reality, we have nothing when we do not recognize that Jesus is God, and we are not. 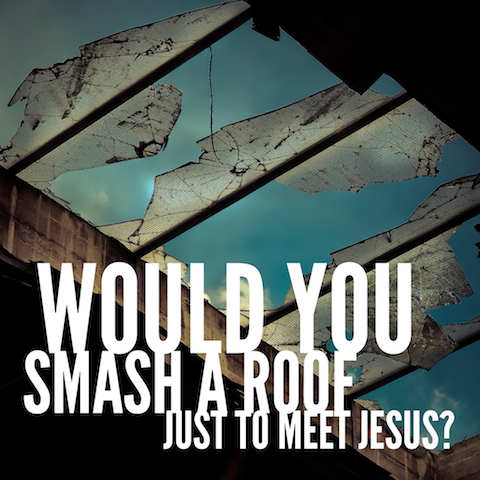 What would you do to see Jesus? Are you content to stay in the crowd to walk near Jesus? Or will you get in position to see him? Zacchaeus had a limitation. He was short. What prevents you from seeing Jesus? Busy schedule, family pressures, tiredness, hobbies? 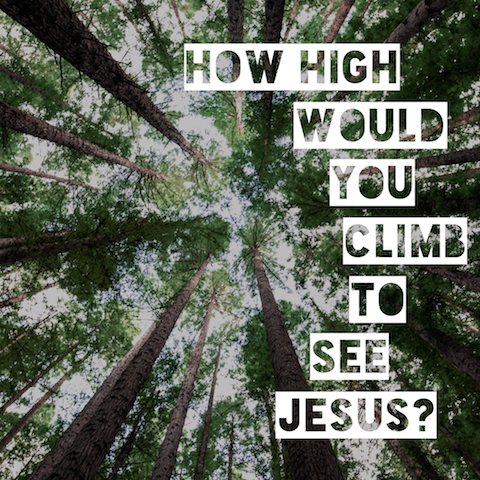 Will you make a choice to push past your limitations to see Jesus? Your choice to get in position makes all the difference. How can your position your schedule to find time to look at Jesus and hear his voice? How can you position your body to be more alert in listening to his Word and responding to him? How can you position your mind to focus on the simple step of obedience Jesus is asking of you? When we get in position, Jesus does the work of transforming our lives. In only one dinner with Jesus, Zacchaeus was changed. He fully repented and received the gift of salvation. What will happen to you when you get in position to see Jesus? Many would say that they desire to know more of God… to see him at work in their lives. But do many desire to actually walk with Jesus in his miracles? It's one thing to watch his power at work. It's another thing to participate in his power. Peter wasn't content to stay in the boat with the other disciples and simply watch the mystery of the man who walks on water. He desired something more. Peter wanted to participate in the miracle. 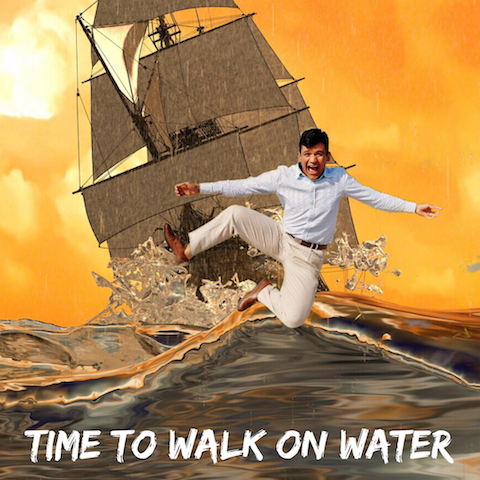 And for a brief time, Peter was actually walking in water. How was that possible? He was with Jesus on the water. The rest of the disciples knew Jesus in the boat. But Peter knew him on top of the water. Do you desire to partner with Jesus in his miracles? It's time to take the risk. Step out. Ask him to show you a miracle that you can participate with him in prayer, in serving, in giving or in speaking the good news.